It’s Foodie Friday and we have breaking foodie news for our fans with a sophisticated palette. 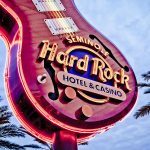 Council Oak Lounge at Seminole Hard Rock Tampa will host an evening with Gentleman Jack Daniel’s, a pairing dinner on Thursday, March 26. The fun begins at 6pm with a Gentleman Jack Daniel’s, 80-proof, twice charcoal mellowed, themed cocktail hour. Around 7pm, guests will enjoy an innovative whisky curated four-course meal. BONUS: Guests will receive a take home 750ml custom engraved Gentleman Jack Daniel’s bottle.